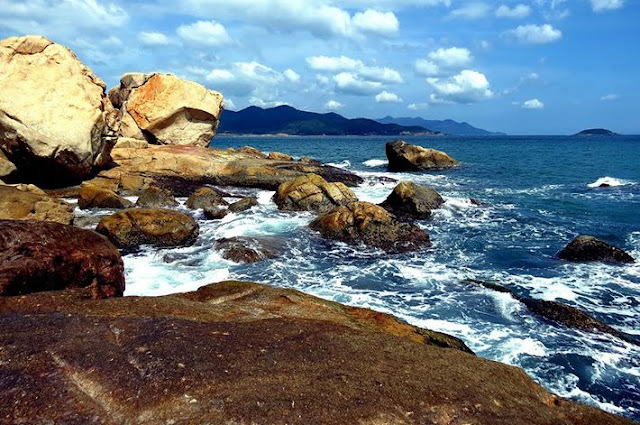 With pristine beaches, bright yellow sand dunes in the sun or colorful ancient rocks sparkling in sunshine, Binh Thuan is an attractive tourist destination. Located about 15 km from Phan Thiet city to the north, Rang beach is considered the most beautiful beach in Phan Thiet with coconut trees in the seaside and blue water. It is also attractive with exposed laterie making the scenery be as beautiful as a painting. In summer, the sea is incredibly clear and blue. The most interesting thing is to watch the the beach in the morning, watch the boats going in and out in crowds. In the afternoon, after the swiming and playing in the lear water, watching the brilliant sunset on the sea and the basket boats quietly mooring, visitors can enjoy fresh seafood dishes like squid, clams, crab cooked in Quang land style. Located in Mui Ne Ward, Phan Thiet City, fly sand hills is a not to be missed destination of tourists when visiting the region. With length of many km, after each gust of wind, or over a night, this sand dunes change their shape. That's why it is also called fly sand hill. 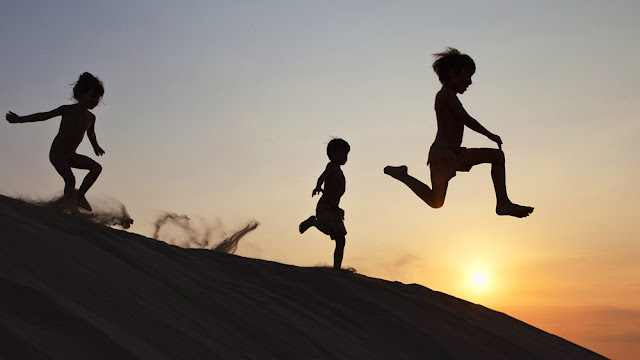 Coming to this point, you can also unleash frolic on the yellow sand dunes stretching endlessly, engage in sand sliding game or go sightseeing. At dawn, thí destination attracts a lot of young people come to experience the quiet atmosphere, welcome the sea breeze blowing in. The appropriate time to visit the yellow sand dunes is at about 5 am or 4 pm. 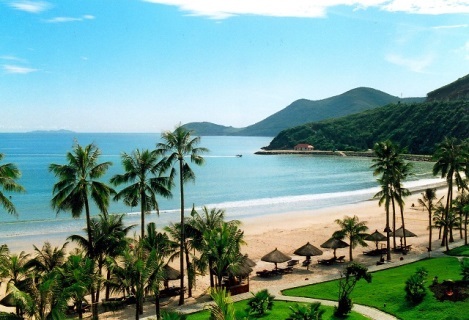 About 28 km from Phan Thiet City, Hon Rom is glamorous with winding beach, the yellow sand dunes and the coconut trees. Visitors coming here are attracted by its beauty, clear blue sea water, the calm waves and no reef. When the sun sets in the early morning, you can admire the picturesque sea. Located on offshore, about 1km from Mui Ne, Hon Ghenh, when being looked from far, is like a giant sea turtle which is heading to shore. About 30 meters above sea level, the island remains an wild oasis with bush of wild flowers, cliffs and numerous species of birds. 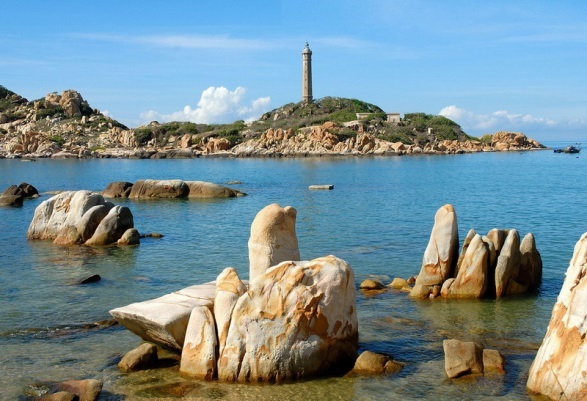 Around the island, there are small rocks piled up creating a fascinating scenic tourist attraction. Around the island, there are small rocks piled up creating a fascinating scenic tourist attraction. Visiting Hon Ghenh, visitors can admire the coral reefs under the clear waters or see the beach from the top of island Ghenh, a vast sky and sea area is captured in sight. In the afternoon, the sunset over the sea is covered with gorgeous orange, red colors... To reach Ghenh island, you'll have to spend 10 minutes traveling by small boats of fishermen, or book a service from hotel. 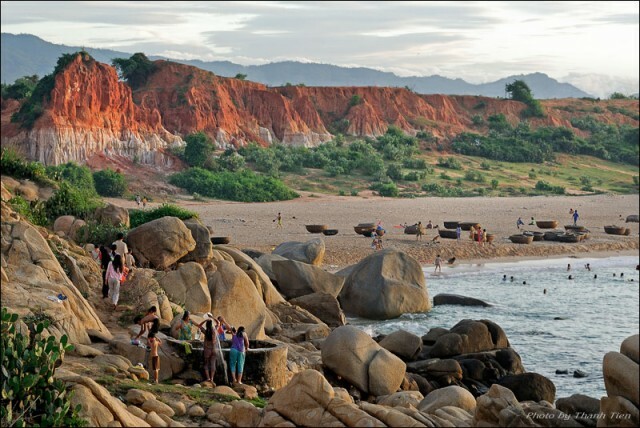 Located about 80km from Phan Thiet City to the north, Ganh Son is beautiful and attracts visitors with the red color of basalt soil. From Ganh Son, you can see panoramic warm bustling living activities in the fishing village. The red color of the stone, the blue of the sea seems to mix together to create an interesting natural scenery. In the early morning or in the afternoon, the sea is very quiet, tranquil. From top of Ganh Son, visitors can enjoy the surrounding scenery, see the bustling life of the fishing village.